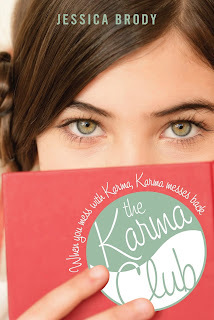 The Karma Club is a clever and engaging book that will hook readers quickly. At the beginning of the story, Maddy is shallow and self-absorbed, and worries incessantly about popularity and being invited to the right parties. But readers will be able to overlook that (and the fact that Brody never really reveals why Mason left Maddy) as the drama begins to unfold and the girls begin plotting their revenge. It is curious that none of them seem the least bit hesitant or frightened to go through with their plans, as some of them are serious and could get them into big trouble, but is satisfying to see the boys who wronged them get what Maddy and her friends think they deserve. 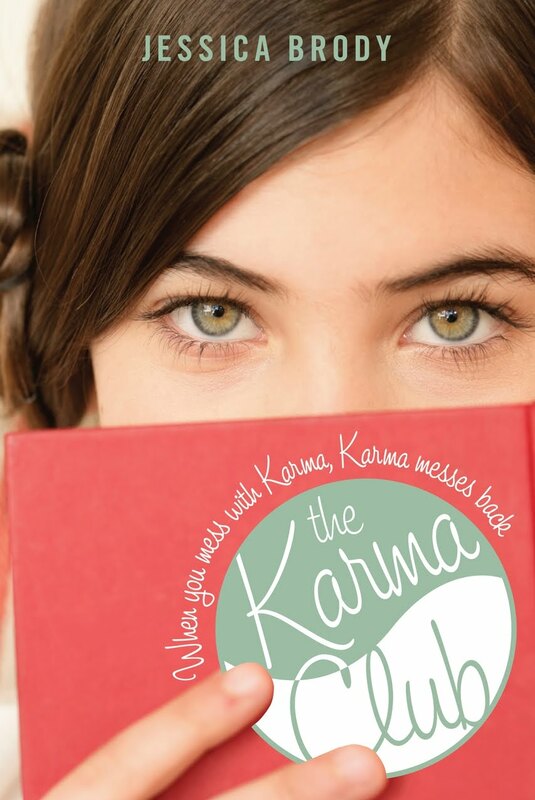 Along the way, Brody peppers the book with little instances in which Karma is working, which helps reinforce her message. When things start to go wrong for Maddy and her friends, they can all be linked back to their previous actions, and it is evident that Karma is at work. In realizing this, Maddy matures in leaps and bounds and learns to embrace the true, simple meaning of Karma: good deeds are rewarded, bad deeds are punished. Throw in a cute but surprising romance, and you have the makings for an excellent pick-me-up with an empowering and important message. Cover Comments: I think this cover is very cute! I like the pink, and the close-up of the girl's face. It most certainly stands out! Ah, I love Karma! It's such a fun concept - and the idea of making it happen just sounds really fun. And I always love the shallow heroines - it's always fun to read from a different point of view. :) Total agreement on the cover, it looks so cute and devilish at the same time! That sounds like something my daughter and I will enjoy reading. Thanks!